Those of you who follow me on social media will know that recently I got a new bed for Bee as I felt it was time she came out of the toddler bed. Due to her having the small box room, we opted for a mid sleeper which came with a desk, chest of drawers and a bookcase. And I put all of that together myself! Now Bee being the little diva that she is also insisted that as she has a new bed, she needs new everything else! Whereas I drew the line at putting in a new carpet, I agreed a new duvet set was doable. And just at the right moment we were contacted by Room to Grow to ask if there was anything we liked the look of. Today at Room To Grow we continue to offer real solutions for both parents and children. 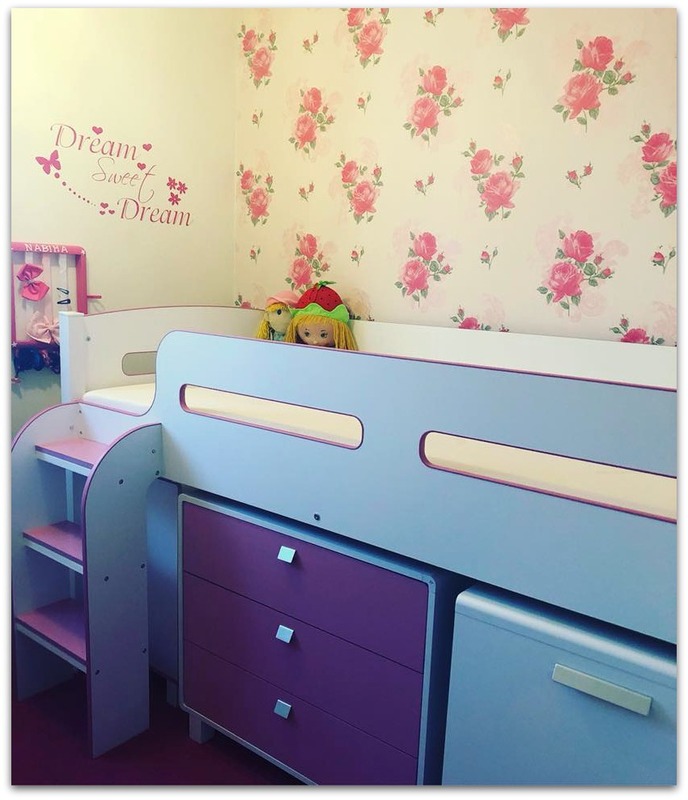 As a one-stop shop we will help you create practical, yet stylish bedrooms for your children, providing them with their own environment for play and study through ingenious designs and clever space saving features. We’ve done the hard work for you by carefully hand-picking the best ranges from the top European manufacturers to help you in your quest to create your child’s dream bedroom. I am quite fussy when it comes to picking duvet sets but Room to Grow have such a cute variety; from Flamingoes to Fairies and even Unicorn sets. Perfect for Bee who is a bit of a girly girl and adores pink. 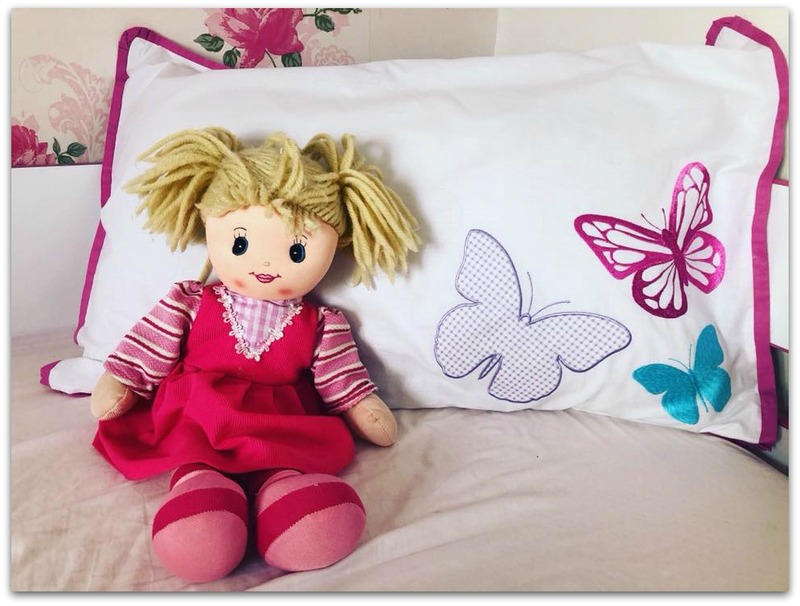 As we already have a lot of pink in her room we decided to opt for a set that was more white with touches of pink and the Flutterby Single Duvet Set was the perfect choice. 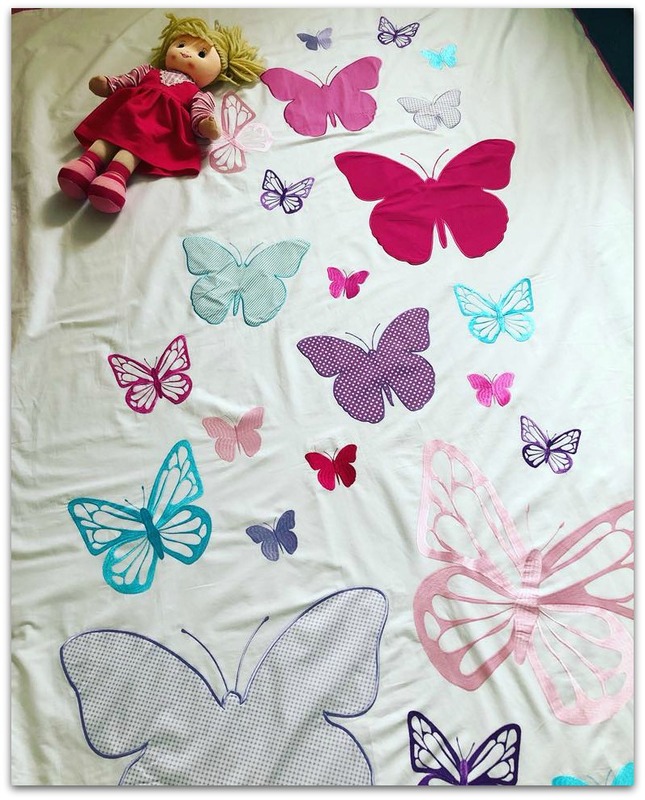 Bee absolutely loves the butterflies and the fact that it is 100% cotton made the duvet feel nice and comfortable. She couldn’t wait to get to bed and woke up saying how nice and comfortable it was. The appliqued butterfies and the pink trim make the whole set look stylish. I just adore the colours of the butterflies and their different sizes and styles. 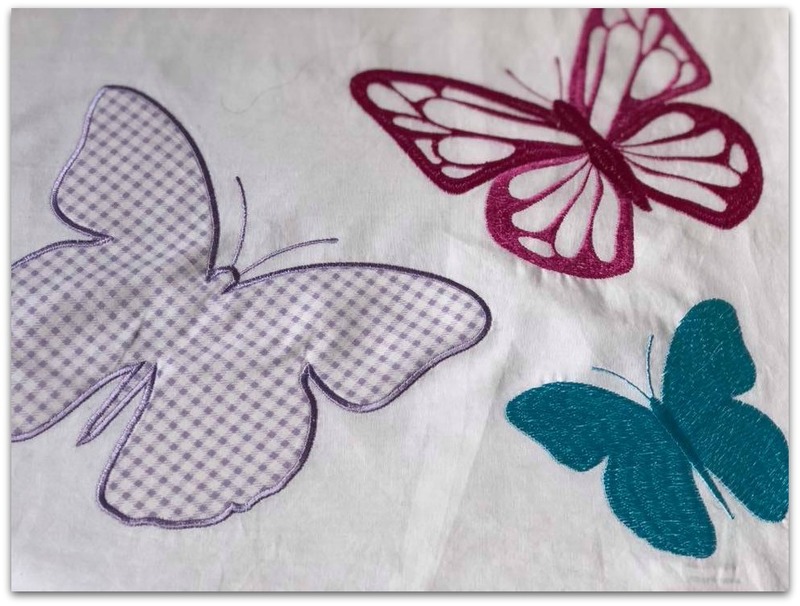 The pillow case is a particular favourite of mine as I love the limited 3 butterflies just to the right of the case. It makes the pillow case look particularly elegant with the pink trim added to it. And even the dolls have been enjoying the set! Not just duvet sets, Room to Grow also have beds, storage solutions, playhouses and much more. 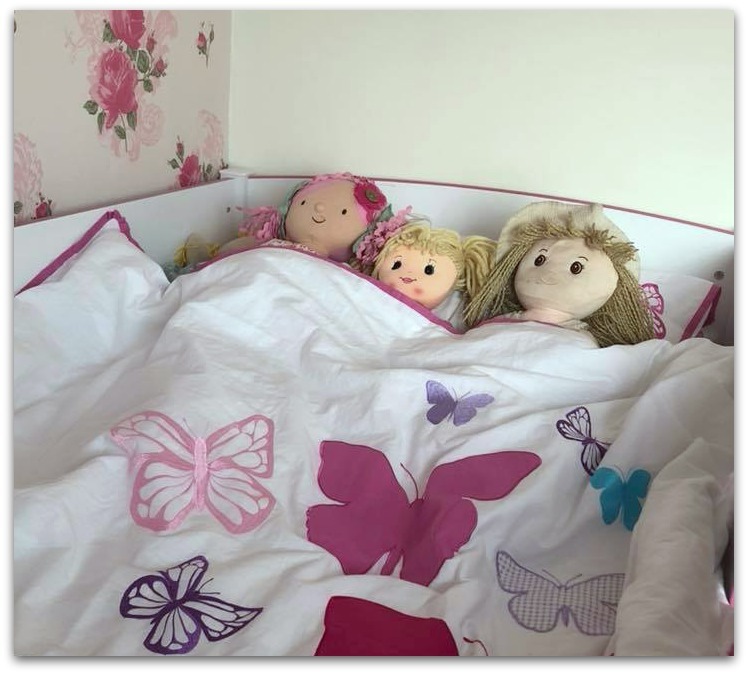 Disclosure: We received the Flutterby Duvet Set for the purpose of review. All thoughts and opinions are our own. You can tell by just looking that the quality is very good. 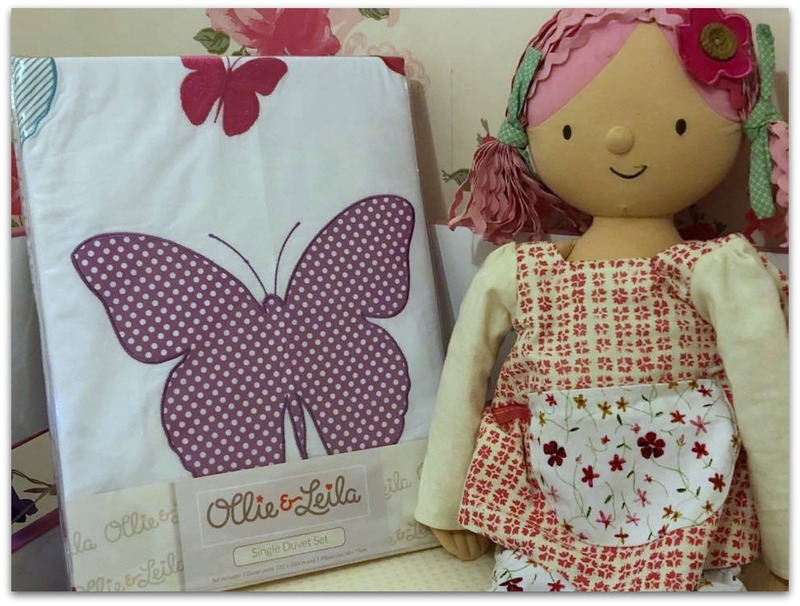 I checked out the website and they have a nice children’s range of bedding. The price range is good too. My grandson has changed from a cot into his first bed so I plan to purchase him his first duvet set. Thanks for the article. Beautiful…love the floral prints and light colors….that butter duvet is cute.. This bed looks so vibrant & colorful The butterfly theme looks very pretty….In fact Iam thinking of making my own bed like this Good choice !! Masha’Allah. Surrounded by such thoughtful beauty, may Allah guide her be thankful and may He grant her an even more beautiful — and much more spacious — hereafter, ameen.